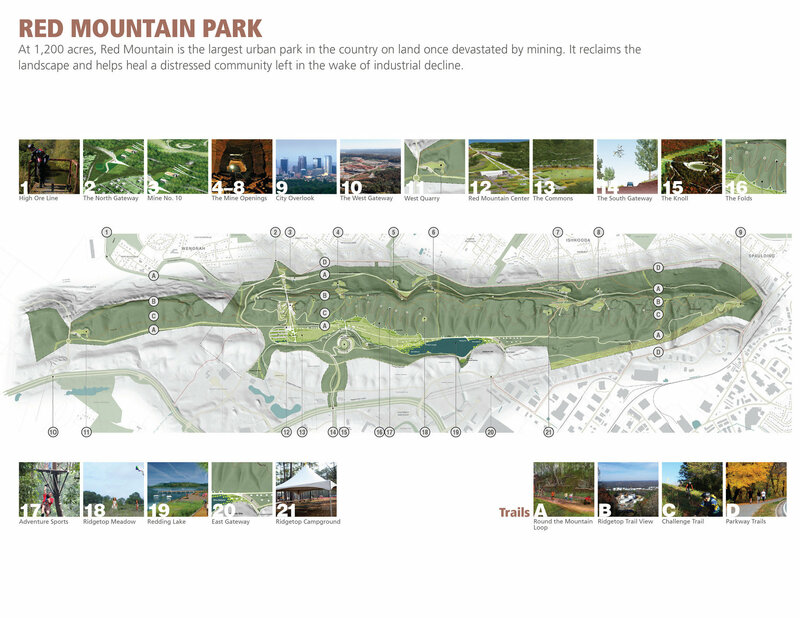 Red Mountain Park plan wins national honor | al.com: The master plan created to guide the development of Birmingham's Red Mountain Park will be recognized as one of the top design and planning projects for 2012 by the American Society of Landscape Architects. It was one of 37 honored out of 620 entries from around the world. Recognized in the analysis and planning category, the park plan was described by the ASLA Professional Awards Jury as a "bold" effort to reclaim a mined-over mountain site, preserving history while uniting what have been geographically and socially separate communities on the north and south sides of the mountain.